Kursdistan is a roughly defined geo-cultural region where Kurdish nationals form a majority of the population, and Kurdish culture, language, and national identity have historically been based. 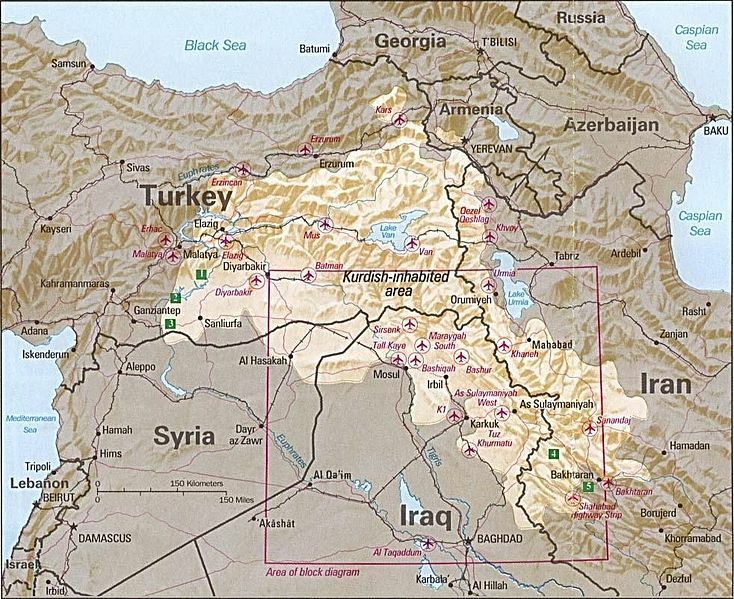 Contemporary use of Kurdistan refers to large parts of eastern Turkey (Turkish Kurdistan), northern Iraq (Iraqi Kurdistan), northwestern Iran (Iranian Kurdistan) and northeastern Syria (Western Kurdistan) inhabited mainly by Kurds. The incorporation of Kurdish-inhabited regions of eastern Anatolia into Turkey was opposed by many Kurds, and has resulted in a long-running separatist conflict in which thousands of lives have been lost. Iraqi Kurdistan first gained autonomous status in a 1970 agreement with the Iraqi government but the region has seen several major Kurdish rebellions. The photographer Arthur Bagen traveled through the area compiling documentation and he produced a photo documentary about the situation in Kurdistan. 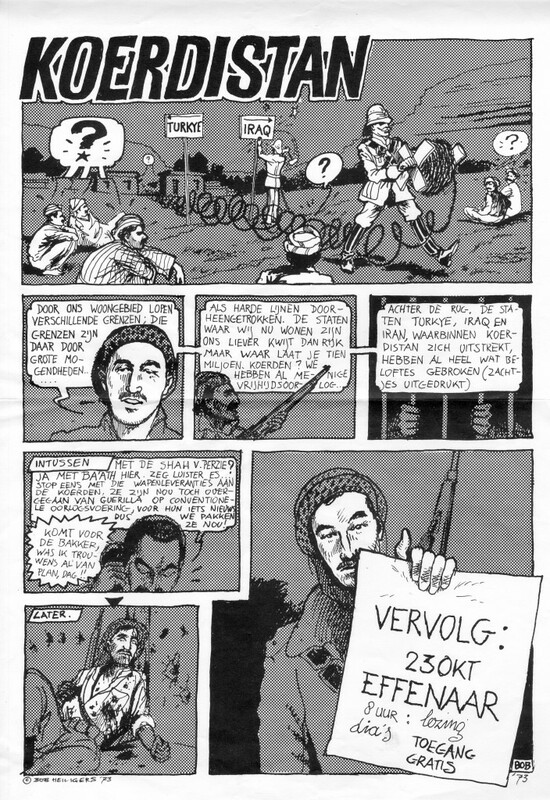 In 1973, when Bagen was invited to be part of the programme van de Effenaar, screening his work, he asked directly to Bob Heiligers to design the poster promoting the night. To highlight in a quick and comprehensible language an urgent situation abroad.